Hello! I did a Google search for information on Mesquite trees and it led me to a 2011 post of yours, which was far more informative than Wikipedia’s entry, and much more interesting! I’m planning on writing a short post about a Mesquite tree in my neighborhood and wanted to provide a link for readers who wanted to read more about them. So I hope you don’t mind if I link them to your post? Love your blog, by the way. Very informative! I usually don’t like blogs. This is an exception. You are providing a serivce and a resource I have not been able to find elsewhere — a well written explanation of the flora and fauna of West Texas, especially of the desert, backed up with great photos. Much appreciated. great blog and wonderful photos! If possible, could you let me know your email address – I wanted to mail a couple of pictures to you that I had taken during my last stay in the Big Bend area and ask you if you could identify the plants I had photographed. Thank you in advance for considering to reply to my request. no, I have not received any mail from you. I don’t think it made it. What can I do for you? Oh. Now I see what you want. However, I have not received any email from you yet. I do want to follow your blog. So happy to havc found it. Might I have permission to use it on my Website. 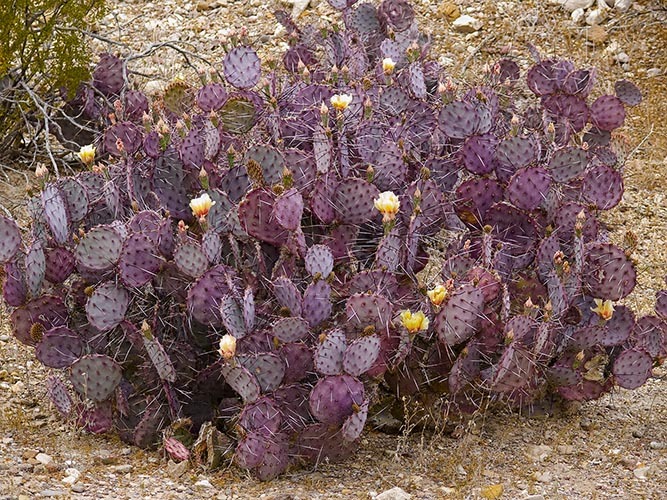 I have a Website about Opuntia and related plants. I can provide photographer credit. You certainly have my permission to use this photo. I just took a quick look at your website and I can promise, I’ll be looking at it a great deal more. It’s really great! I have quite a few other photos on Flickr that you might like. The URL is http://www.flickr.com/photos/AnEyeForTexas. If you think your readers would like it too, please feel free to use it on An Eye for Texas blog. There’s code at the bottom of our post that makes it super easy to post on your blog. It’s all free (of course). If you have any questions about posting it, let me know and I’ll try to help.